Play2Learn was founded in Edinburgh by Dave Upton and Shane McCreevy during the Summer of 2005. We met while coaching football in New Jersey, USA during 2002 and formed a terrific friendship and working relationship which continues to grow. 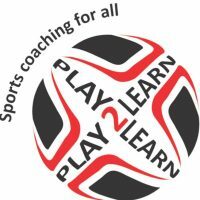 Play2Learn have a number of Part-time and full time coaches. All our coaches are First Aid trained, PVG Disclosured and have safe guarding children. All coaches are qualified across a number of different sports. Play2Learn offer participants sports coaching for all, at all levels! We offer the right practice, for the right player, at the right time.!! Our methods are different from other coaching organisations. We construct most of our sessions on the “whole -part-whole model. This promotes playing in match situations at the beginning and the end of each session. Then focussing on the themed skill element sandwiched in the middle. This allows players and coaches to identify areas for development from the start. It gives a clear format on what is to be practiced, and how the improvement occurs through out the session. Within this ‘ whole- part- whole ‘ format, our sessions are pitched at the variable and random higher end of the coaching spectrum. Other coaching organisations operate at the lower , constant end of the spectrum. Through these activities we encourage interference, opposition, and mistakes. This is done in a realistic, relevant and repetitive environment. Simply; We ask, we don’t tell, we are not controlling we empower! Our name is our mantra. Play2Learn! Our participants are encouraged to work things out for themselves in a realistic , changing environment. Playing and learning as you go.